Teachers and educators will enjoy carrying their keys with this special key ring. It reminds them how special they are and how much their student value them. Perfect for a teacher appreciation gift or just because, this key ring will encourage that special teacher and remind them of how important they are. 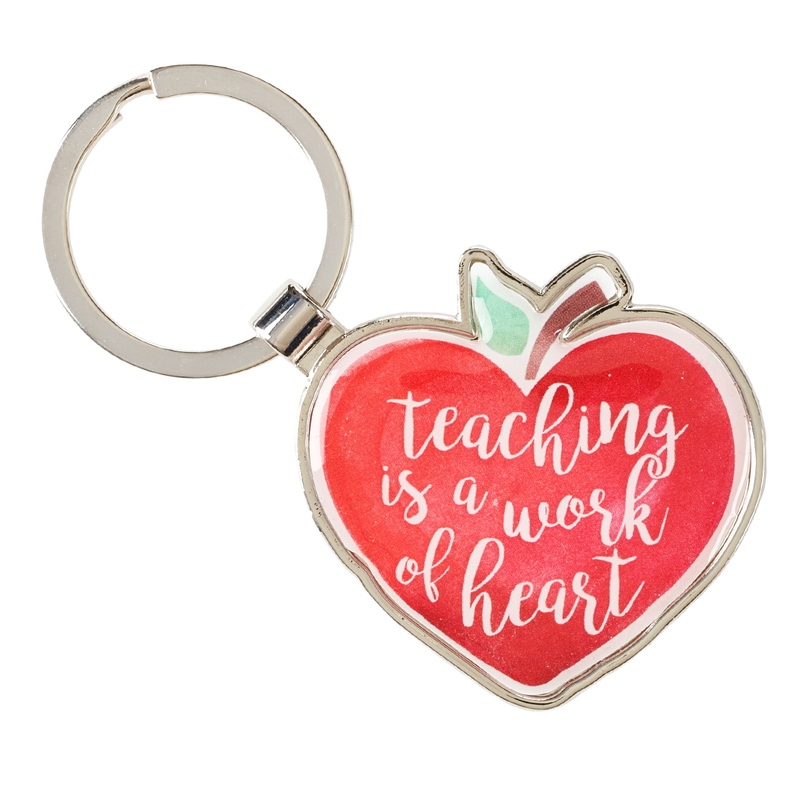 The front of the key ring features the phrase, "Teaching is a work of heart," reminding educators that their career is a calling, and requires heart and passion. Teaching is a Work of the Heart Keyring was published by Christian Art in July 2018. The ISBN for Teaching is a Work of the Heart Keyring is 843310100011. Be the first to review Teaching is a Work of the Heart Keyring! Got a question? No problem! Just click here to ask us about Teaching is a Work of the Heart Keyring.